Hello, can I have lemons, cucumbers & mint leaves in my water? Hi, Susan I thank Father God for you, this daniel fast is a blessing to me, This is my second time fasting, I have to say it been great spending time with the Lord, feeling great about myself this is from Father God. Thank you Susan! God bless you! Whole wheat bread is not allowed on the fast, mainly due to the leavening in it. However, whole grain flat breads and tortillas (additive free, yeast and sweetener free) are allowed as an alternative. And yes, Oat porridge (Oatmeal) is a great breakfast choice, just watch what you put on it. I hope this helps, Be Blessed! I greet you in the Wonderful name of Jesus our Lord and Savior. Can I eat wholewheat bread bought from the supermarket? And also can I eat Oats porridge in the morning? and felt great Mind Body and Soul. ENDING THE FAST: I do want to caution everyone about ending the fast. You will need to be careful during the first couple days of “ordinary eating.” To keep your body from rebelling loudly, reintroduce foods slowly. This is especially important when resuming coffee and caffeine, meat, dairy products and sweets. Small portions are better and easing back into consumption of these foods is advised. Also, when you end your fast, reflect on the lessons you learned during your fasting period. I know many have learned valuable lessons about healthy eating and want to carry those lessons into their future. Perhaps you have gained new and positive habits for prayer and daily Bible reading. Don’t leave these gems behind until you fast again. Instead, carry them with you and allow them to affect your everyday life. Kim Hatton found a great snack product available at Whole Foods and other supermarkets that carry natural food products. It’s called “Half Naked Popcorn” and the ingredients are organic popcorn ,organic safflower, organic soybean oil, and sea salt. Kim said, “I just want to share a very tasty snack that is healthy and pure: Half Naked popcorn – air-popped popcorn lightly sprinkled with sea salt or olive oil.” Check it out! THANK YOU! I want to extend my sincere appreciation for the many email messages I’ve received over the past many weeks. God has blessed me with the lay ministry and I am honored to communicate with so many men and women from about the world. I apologize if I have been slow with responses. I do my very best to keep up. The good news is that so many people are learning about the amazing benefits of consecrating oneself for an extended period of prayer and fasting. I praise God for His love and care for us and that we can enter His presence in this powerful way. Be blessed this weekend and please feel free to contact me with questions, comments or ideas. My #1 goal is to serve the Lord by serving His people! Please write a post about the best way to break the fast. Yes, rice cakes are a great option for the fast, but not all rice cakes are Daniel Fast friendly. One to get you started is Lundberg Brown Rice Rice Cakes, Ingredients: Whole grain brown rice, sea salt. Here’s a link for you: http://www.lundberg.com/products/rice_cakes/Organic_Brown_Rice_Cakes_Lightly_Salted.aspx I hope this helps! Hi Susan,on the food list,we are able to have rice cakes.Isn’t that a processed food? And what are the ingredients? Thanx Susan. As l read l experience the Holy Spirit led words, wisdom and an awsome fragrance of Gods presence. I am not very disciplind but am working on it but l need yo prayers plz. I also want 2 start the fast 4 a closer relationship with God. Only in recipes, not to drink as a beverage. The only beverage on the fast is water. I too am fasting for a cause. I started the fast yesterday, and I can already feel my body reacting to the changes in diet. Not in a good way yet, but I know it gets better. I’ll be faithful, and finish this thing. I plan on supporting your cause. Fasting is the ultimate showing of obedience to God and I believe he will bless those who do it. Besides the spiritual benefits, God blesses the desires of our heart. Your desire to see children fed will come to pass. I will dedicate some of my prayer time everyday to this cause. Blessings, Ken. I am on a daniel fast and my wife told me i could have a non concentrated,100 % pure squeezed orange juice. Is this true or not? I have been on the fast close to 27 days not–which includes the 7 day absolute fast. I think that I totally misread about the juice intake during the daniel fast. I have been drinking juices and i just read your reply to someone, that the Daniel Fast consist of Water as a beverage only. I had to repent to the Lord for this and will press on though. Be Blessed and I love and appreciate your obedience to the Call of the Lord! Yes, both black rice and black beans are great food choices for the fast, just make sure there are no additives in the ingredients and you’re good to go! Are black rice & black beans ok to eat during Daniel Fast? The only beverage on the Daniel Fast is water, but you can use your juice in recipes or in smoothies, which are considered liquid meals. Be blessed and thanks for your uplifting comment! Quick question: I enjoy juicing. Is it okay to juice on the Daniel Fast? I don’t know why you can’t open the link, as they work all over the world. Could it be something in your computer or possibly with your network connection? I wish I could provide better answers for you. Be Blessed! Thank you. That’s pretty amazing. I’m very thankful for this post, I wanted to add. Susan brings up a really good point and the Scripture has certainly helped confirm a few of my own questions. I agree that hunger is a vital need that is unfortunately unmet for others around the world, and God cares very deeply for those who go without. So I may very well take up her suggestion. Yes, the longest I have heard of someone doing the Daniel Fast is 50 days. He is faithfull dear one, and He will lead you! In the last couple of weeks I believe the Lord has been slowly guiding me to the act of fasting. Not knowing too much about it I started doing some research and in the process I found your blog and website. This entry in particular has stirred me for the Scripture of Isaiah 58 that you share. God’s call to fast goes beyond changing our eating habits but calls for a change in our hearts. This is what I’m after — a closer relationship with Him and restoration in my marriage. I’m still waiting on the Lord for additional wisdom and timing. 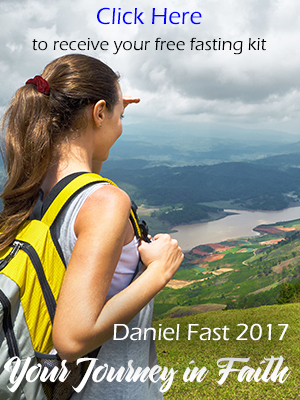 Have you or have you known of anyone extending the Daniel Fast to more than 21 days? Thank you for your obedience to Christ. And many blessings!